KCET 2019 Eligibility Criteria: All the candidates who are going to appear for the Karnataka Common entrance test will be able to get admission only if they possess all the KCET 2019 eligibility criteria prescribed by the exam conducting body which is Karnataka Examination Authority. Before filling up the application form, you should make sure to check all the KCET eligibility criteria 2019 set by the exam conducting body. NOTE – KCET 2019 Examination Dates have been changed. Click here to check all the latest dates as prescribed by the concerned authority. To get admission in government seats, candidates must make sure to fulfil the conditions set under each clause. Please note that the candidate must be an Indian citizen to claim reservation of seats under various categories. Each clause will have a special code. Any candidate who wants admission in a government seat must bring the required documents for verification. The candidate should have studied and passed in one or more Government or Government recognised educational institutions located in the State of Karnataka for a minimum period of SEVEN academic years commencing from 1st standard to 2nd PUC / 12th standard as on 1st July of the year in which the Entrance Test is held and must have appeared and passed either SSLC / 10th standard or 2nd PUC / 12th standard examination from Karnataka State. In case of the candidate who had taken more than one year to pass a class or standard, the years of academic study is counted as one year only. The candidate should have studied and passed either 1st and 2nd year Pre-University Examination or 11th and 12th standard examination within the State of Karnataka from an Educational Institution run or recognized by the State Government and that either of the parents should have studied in Karnataka for a minimum period of SEVEN years. (a) a study certificate for either of the parent having studied for at least 7 years in Karnataka from the Head of the educational institution where he/she had studied. (b) the candidate’s study certificate for having studied both 1st & 2nd PUC or 11th & 12th standard in Karnataka issued by the head of the educational institution. The candidate and either of the parent’s mother tongue should be Kannada, Tulu or Kodava and either of parent was domiciled in the state of Karnataka, such candidate should have passed the qualifying examination from a University or Board or any other Institution located outside Karnataka and should be residing outside the State of Karnataka as on 1st May of 2018. Provided that the candidate shall undergo a Kannada Language test conducted by KEA. a domicile certificate issued by the concerned Revenue or Municipal Authorities certifying that the candidate and his either of the parent have resided outside the state of Karnataka as on the prescribed date. The place of the Issuing authority should correspond to the place of domicile of the candidate /father /mother. a domicile certificate issued by concerned Revenue Authorities of the state of Karnataka regarding the previous domicile of the father/mother of the candidate as a place in the state of Karnataka. The place of the Issuing authority should correspond to the place of domicile of the father/mother. Candidate’s Study certificate, Transfer Certificate. Father / Mother 10th standard marks card / cumulative record in original in support of mother tongue as Kannada / Tulu / Kodava. A duly sworn declaration regarding mother tongue of the candidates. A candidate whose mother tongue is Kannada, Tulu or Kodava should have resided and studied for a period of SEVEN YEARS between 1st and 12th standards in disputed Kannada speaking area of South Sholapur or Akkalkot or Jath or Gadhinglaj Taluks of Maharashtra State or Kasargod or Hosadurga or Manjeshwar Taluks of Kerala State. Provided that the candidate shall undergo a Kannada Language test conducted by KEA. Residential certificate from the concerned Tahsildar of the respective disputed Taluk. Candidate’s study certificate issued by the head of the institution, which should be countersigned by Taluk Education Officer. A duly sworn declaration regarding mother tongue of the candidate. Please note: The candidate who is seeking admission under code ‘c’ and ‘d’ must invariably speak, read and write Kannada and secure at least 12 marks in the Kannada Language test, failing to which the rank list will not be prepared. In the case of a candidate who is son or daughter of defence personnel who has worked continuously in Karnataka for a minimum period of one year in Karnataka during the Two year period of study of candidates in PUC / 11th and 12th Standard course. The candidate should have studied and passed the qualifying examination from any Government or Government recognized educational institution located in the State of Karnataka. The candidate’s study certificate for having studied 2nd PUC or equivalent examination in Karnataka issued by the head of the educational institution. Employment certificate of the parent issued by the Controlling Office where the parent is working indicating the period during which he has worked in the State of Karnataka i.e., from the reporting date to till date. Son or daughter of serving Defence personnel from Karnataka who at the time of joining the Defence service had declared his / her hometown a place in the State of Karnataka. Proof of such domicile should be obtained and produced by obtaining the extract from the AG’s branch (Army Hqs) respective branch of integrated HQ of MoD for Officers and respective Record Offices for JCOs / OR. Further, the candidate should have passed the Q. E. from a University or Board or any other institution located anywhere in India. Parent’s hometown declaration certificate while joining the service issued by the respective branch of integrated HQ of MoD for Officers and respective Record Offices for JCOs / OR. In the case of a candidate who is a son or daughter of a defence personnel who had served in Karnataka for at least one year and is posted on duty in Field / Active Service and whose family is permitted by Defence Authorities to continue to stay in Karnataka. Such candidate should have studied and passed the qualifying examination from any Government or Government recognised educational institution located in Karnataka. Service certificate of the parent issued by the Controlling Office indicating the period during which the parent has worked in Karnataka and a certificate showing the present place of posting, indicating that his family is permitted to stay in Karnataka. The present working place of the parent should be indicated in NAME and not by CODE NUMBERS. Son or daughter of an ex-servicemen who at the time of joining the defence service had declared a place in Karnataka as his hometown, proof of such domicile should be obtained and produced from the “Deputy Director, Department of Sainik Welfare and Resettlement” of that District and the same should countersigned by the Director Department of Sainik Welfare and Resettlement. Further, the candidate should have passed the Q. E. from a University or Board or any other institution located anywhere in India. Parent’s hometown declaration certificate while joining the service issued by the Joint Director / Deputy Director of the concerned district and countersigned by the Director, Department of Sainik Welfare and Resettlement, Bangalore. In the case of a candidate being a son or daughter of an employee of the Union Government or an employee of the Union or Karnataka State Government Undertaking or Joint Sector Undertaking, who is liable to be transferred anywhere in India as per the terms and conditions of his employment and has worked in Karnataka for a minimum period of one year in Karnataka during the Two year period of study of candidates in PUC / 11th and 12th Standard course. and such candidate has studied and passed the qualifying examination from any Government or Government recognised educational institution located in the State of Karnataka. A certificate from the employer indicating the parent’s period of employment in the State of Karnataka and also showing that he is transferable anywhere in India. A certificate from the employer indicating parent as an employee of Union Government or an employee of the Union or Karnataka State Government Undertaking or Joint Sector Undertaking. Son or daughter of a working or retired employee of the Union Government or employee of Union or Karnataka State Government undertaking or Joint Sector undertaking where such employee; (a) had declared to the employer at the time of joining service any place in Karnataka to be his hometown; and (b) had studied in any Government or Government recognised educational institution or institutions located in Karnataka for a minimum period of seven years; and was or is liable to be transferred anywhere in India as per the terms and conditions of his employment. Further, the candidate should have passed the Q. E. from a University or Board or any other institution located anywhere in India. a study certificate of the parent employee for having studied for at least 7 years in the State of Karnataka from the Head of the educational institution where he/she had studied. hometown declaration certificate of the parent employee while joining the service and showing that he is transferable anywhere in India issued by the employer. Son or daughter of Members of Parliament elected from Karnataka. Further, the candidate should have passed the Q. E. from a University or Board or any other institution located anywhere in India. If claiming reservation benefits:- Caste / Caste Income Certificate issued by Concerned Tahsildar- For SC / ST in Form-D, Category-I in form-E and 2A, 2B, 3A and 3B in Form-F. Certificate showing that the parent is/was a Member of Parliament elected from Karnataka issued by the Parliament Secretariat. Son or daughter of serving or retired employee:(a) belonging to All India Service of Karnataka cadre; and (b) of the Karnataka State Government, who has served or is serving outside the State of Karnataka during the period corresponding to Candidate’s study outside the State from 1st standard to 2nd PUC or 12th standard examination can be added to make up the seven years study within Karnataka as required under clause (a) above. Certificate from the Principal Secretary / Deputy Secretary / Under Secretary, DPAR, Government of Karnataka, Bangalore where the parent belongs to All India Service of Karnataka cadre stating that the parent is a member of such All India Cadre. The certificate should also indicate the period during which he has served or is serving outside the state of Karnataka and if the parent is a State Government Employee, a certificate from the concerned Head of the Department or the Head of the Office where such parent is employed should be produced in this regard. Son or daughter of Jammu & Kashmiri migrants, proof of such migration (IDENTITY CARD) should be obtained and produced from the jurisdictional “District Magistrate and Deputy Commissioner” of any state in India. A original certificate (IDENTITY CARD) issued by the Jurisdictional District Magistrate and Deputy Commissioner of any state in India, as the proof of migration. The candidates who are claiming eligibility under clause ‘m’ are eligible only for the seats earmarked by the Government. The candidates who have studied TEN full academic years in Kannada Medium from 1st standard to 10th standard in places outside the state of Karnataka. Such candidates need not appear for Kannada Language Test conducted by KEA. 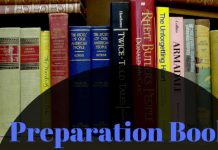 Provided the candidate should have studied and passed the qualifying examination from any Government or Government recognised educational institution. A domicile certificate issued by the concerned Revenue or Municipal Authorities certifying that the candidate and his father/mother have resided outside the state of Karnataka as on 01-05- 2018. The place of the Issuing authority should correspond to the place of domicile of the candidate/father/mother. Candidate’s Study certificate, for having studied in Kannada Medium from 1st standard to 10th standard issued by the head of the institution. Son / Daughter of working or Retired employee in Central Armed Police Force service, who at the time of joining the CAPF service (Central Armed Police Force) had declared the hometown as a place in the State of Karnataka, proof of such domicile having been produced by obtaining the extract from the Record Office of the CAPF Unit where the Parent’s service record is maintained. Further, the candidate should have passed the Q. E. from a University or Board or any other institution located anywhere in India. Parent’s hometown declaration certificate while joining the service issued by Record Office of the CAPF unit, where the parent’s service records are maintained. If claiming Rural quota: – Rural Study Certificate from 1st to 10th std for Ten Complete Years. o a study certificate for either of the parent having studied for at least 7 years in Karnataka from the Head of the educational institution where he / she had studied. o the candidate’s study certificate for having studied both 1st & 2nd PUC or 11th & 12th standard in Karnataka issued by the head of the educational institution. o Parent’s home town declaration certificate while joining the service issued by respective branch of integrated HQ of MoD for Officers and respective Record Offices for JCOs / OR. o a study certificate of the parent employee for having studied for at least 7 years in the State of Karnataka from the Head of the educational institution where he/she had studied. o hometown declaration certificate of the parent employee while joining the service and showing that he is transferable anywhere in India issued by the employer. Please note that any candidate who fails to produce any document listed under the specific clause, his/her candidature will be canceled at any point in time in the admission procedure. Also, the institution will forfeit the entire amount of fee paid by the candidate. Hi, there is no eligibility criteria stated for age. However, if your son is appearing for 12th in this year or has already qualified 12th, he can take the CET. andhra pradesh sudents elligible or not? 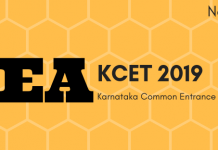 If you have domicile of Karnataka or fulfill any other eligibility criteria, you can take the KCET 2019.